This gas-saving 4Runner will get you where you need to go. Hurry and take advantage now! Don't bother dreaming about any other SUV!! Move quickly!! CARFAX 1 owner and buyback guarantee... 4 Wheel Drive!! 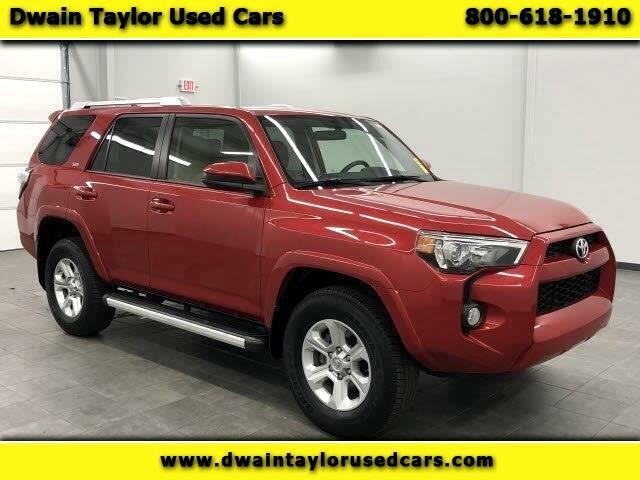 Safety equipment includes: ABS, Curtain airbags, Passenger Airbag, Front fog/driving lights, Daytime running lights...Other features include: Bluetooth, Power locks, Power windows, Auto, Cruise control...This gas-saving 4Runner will get you where you need to go.